As discussed in gpd tech tip #50, gpd has worked on internal design changes for commonly replaced scroll compressors. The purpose of this internal design change was to keep the oil circulating within the compressor, so the compressor will remain lubricated. When oil is not circulating correctly though a compressor, it is prone to failure due to lack of lubrication. On further analysis, gpd noticed that on returned warranty compressors featuring the scroll design, oil had escaped. With a system that requires as little as 2.7 ounces of oil, a 30% reduction in oil capacity has a dramatic effect due to oil starvation within a scroll compressor. 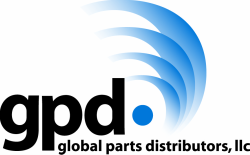 gpd was the first in the aftermarket to offer piston style replacements for scroll compressors with the same exterior appearance and function as the scroll compressors. These piston style replacements reduce the warranty rate of commonly replaced scroll compressors, while increasing the cooling performance at idle and heavy traffic speeds. As a replacement for the OE scroll design, gpd released the 6513243. This piston replacement compressor has two design changes from the OE compressor. gpd has removed the device that traps the oil inside of the compressor, which allows the oil to flow back within the system. The compressor will come pre-charged with 5.5 ounces of oil. This has been predetermined to be the correct amount to lubricate the compressor under correctly charged conditions. The compressor will also come with a warning sticker, which can be fitted under the hood of the vehicle for the next repairer. This sticker is to make them aware of the design change. The compressor will also be manufactured as a piston replacement. With the success gpd has had with the previous piston versions of scroll compressors it was the obvious choice for overall improvement for the entire air conditioning system of the 2007-2014 Honda CRV 2.4 L.